Pipe from turbo over heatshield has now been lagged since this photo. s148 ftw! can you share your afr print out please . Thats pretty impressive. Nice set up. Im fitting my FCD and upping to 1bar maybe 1.1 if all is ok and then getting another RR done will get printouts done of Boost / af etc this time.. I have my wedding this week so maybe a few weeks before i get it redone..
Who says 300bhp is hard to get on a 185! Do you remeber what AF you had? 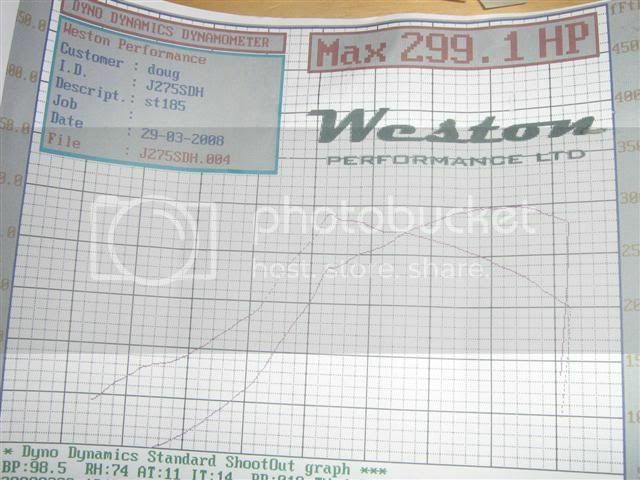 What is the spool like(at what rpm do you see 0.9bar)? That is a real bang for buck setup. Did you up the base pressure? If everything is stock, you have fuel for about 260 HP(90%duty). I don't know the A/F this guy used, but his car is still running. You running 300 hp on 440's and stock FP can mean leaning out and BOOM. So be carefull. Pressure is std whatever that is ( it varys ) and was still a little rich but agree its prob at about 100% duty. To be honest i think Fuel pressure plays a big part in most setups on std injectors and fpr on what you can get power wise. The variation in pressure on a std regulator ive been told is significant so some are low and some are high. 440's at the right pressure act like 480's so you have some scope. When i took the head of not long ago there was no sign of det or running lean. I only run at this a few times so not always at max boost. Injectors run 100% duty almost at anything above stock boost as long as fuel is there it sould be ok and i dont rag it everywhere only occasionally. and people think ct series turbos arent good for anything. good stuff! any specs on the turbo? oh and congrats on your marriage! To be honest i havnt got the specs as i was recommended it from a fellow gt4 owner ##BETSY## ( hes running one on a powerfc and 350bhp ). 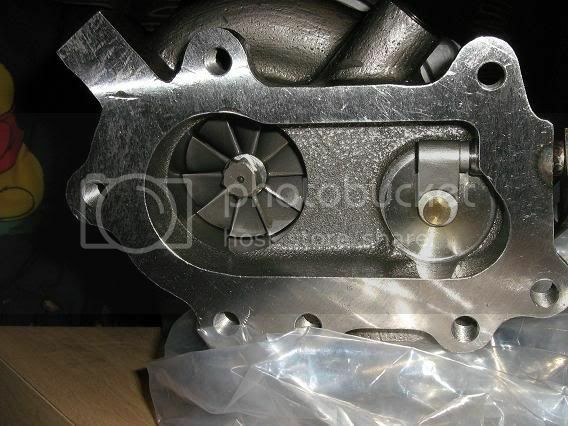 Its model num is s148 available from Turbo Technics. 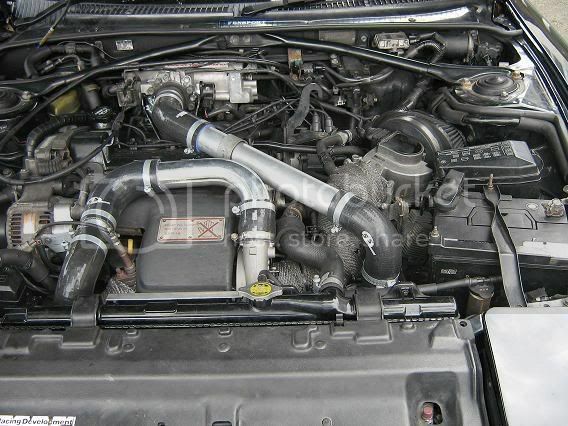 Has single wastegate so no boost creep good for 1.6bar and 380bhp apparently which i think is possible. Judging from mine. also do a stage 2 of this not sure on performance of this as i dont know anyone who has had it?? So does this turbo bolt right up with stock lines? Any issues with it thus far? Yes fits 100% as stock! No issues so far. Still eating scoobies! 1bar is nice hopefully upgrading to a bigger cosworth intercooler as now summer is hear intake temps are creaping up ( nothing serious ). Std clutch still holding also! This is great news specially for us low budget guys.. I talked to RickyB about dyno tuning my car which has way more stuff than yours, and he told me that he doubt ill see 300HP with stock cams. This definitely got my hopes up..
congrats on that great numbers..
is that all wheel horspower? @ the fly hp mate! "I talked to RickyB about dyno tuning my car which has way more stuff than yours, and he told me that he doubt ill see 300HP with stock cams." cams actually will make only a small difference and then only mainly exhaust cam. Turbos respond less to porting/cams than NA cars. 300hp is cheapishly possible on a healthy engine. 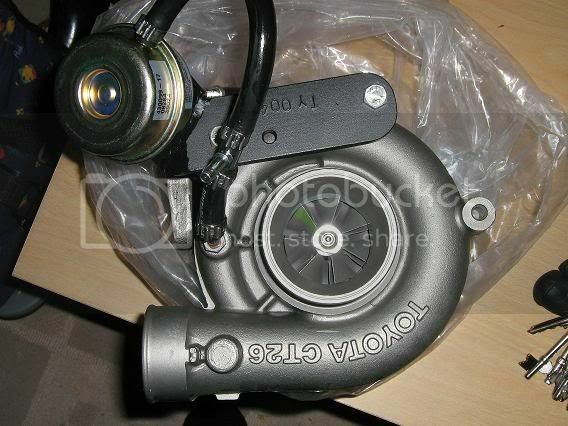 What kind of AFR are you seeing with this turbo? No aftermarket fuel pressure regulator or anything right?